Many of the people who braved the brisk temperatures and light rain Sunday did so out of a sense of patriotism and pride, to celebrate their own veteran family members and to express gratitude for those who have served this nation. Milford Public Schools are open this Veteran’s Day. There will be programs across the school district to learn about and show appreciation for our veterans. 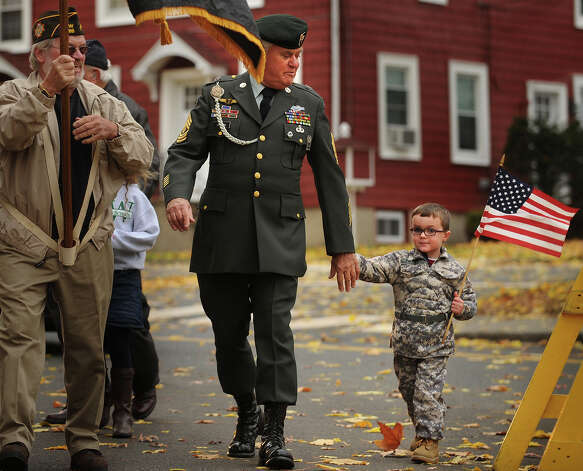 ← Milford’s Veterans Day Parade Sunday at 2 p.m.